Students attend a Youth Day celebration at Nanchang Middle School, May 4, 2011, Shenyang, Liaoning province. The celebration commemorates the beginning of the May Fourth Movement (1919). This is an excerpt adapted from Wish Lanterns: Young Lives in New China, by Alec Ash, Picador, © 2016. Reprinted by permission of Pan Macmillan. In Wish Lanterns, I follow the lives of six Chinese born between 1985 and 1990 as they grow up, go to school, and pursue their aspirations. Millennials are a transformational generation in China, heralding key societal and cultural shifts, and they are a hugely diverse group. In writing about just six people out of this generation of over 320 million, I hoped to show rather than tell something of what it means to be young in today’s China. “Fred” (her English name) is one of those six. She is a guan’erdai, the daughter of a Chinese Communist Party official in the southern island province of Hainan, and unlike most of the other characters in the book she grew up in a privileged environment. In this chapter, we pick up her story as she starts her undergraduate degree in International Politics at the capital’s Peking University. Fred was in the library, surrounded by treasure: rare scrolls, classical novels, first editions from the early 20th century. The reading room thrummed with the quiet of mass studying. Some students fell asleep at their desks between piles of books as tall as themselves. But that was to be expected in China’s most prestigious university. Naturally bright and with access to the best education, Fred had sailed through her college entrance exams, which in Hainan are marked out of 900. She got 829, the fifth best score in her year on the island. That meant she could take her pick of colleges and subjects, and she chose to study International Politics at Peking University. It was the Holy Grail for elite students, firmly on the right side of the tracks in the university district. Tsinghua University was next door, and together they were China’s Oxbridge. Fred’s first impression was the buzz of her first week of freshman year in 2003, as new arrivals milled about campus to sign up for extracurriculars. It was difficult to adjust. At school, Fred was used to being the brightest; now, irritatingly, all her classmates were just as clever. After a pampered childhood, she wasn’t used to dorm life, sharing a room with five other girls and using a communal shower. Back home in Hainan, there had been plenty of space for everyone, among the green hills and on the sandy coastline. The north was crowded and noisy, and it didn’t even feel like there was enough air. 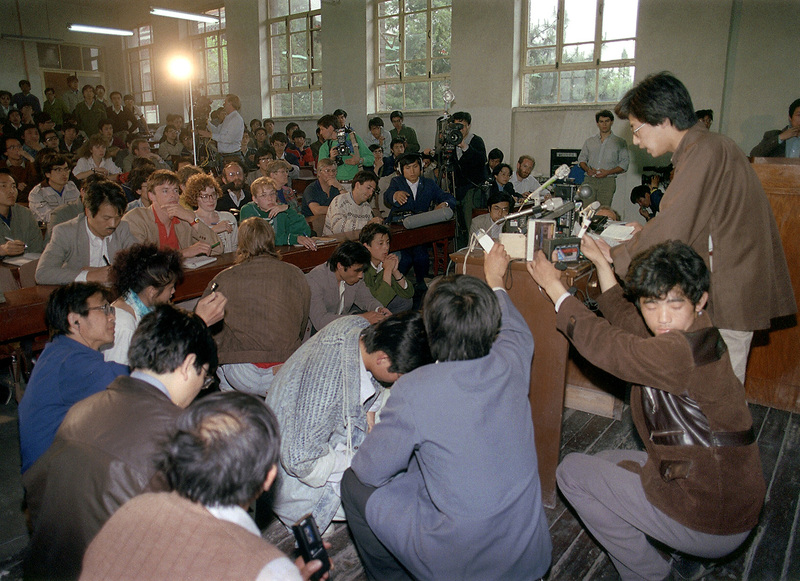 Student leaders from Beijing University gather at the headquarters of the All-China Students’ Federation, an official Chinese student association, to ask the government to speed up democratization, April 29, 1989. Chinese troops crushed the pro-democracy movement in Tiananmen Square on June 3-4. In her major, she studied both Chinese and Western politics. The style of education was still PowerPoint-driven, but the professors were among the best in the country. It was intellectually challenging and surprisingly uncensored, although any criticism of the Party was taboo. Meanwhile, her compulsory political education classes continued in parallel, two hours every week. In the mornings, as part of her degree, she read the political thinkers Thomas Hobbes and Hans Morgenthau. In the afternoons, she zoned out while being told for the hundredth time about Mao Zedong Thought and Deng Xiaoping Theory. Dotted around the winding paths of the campus were statues to inspire students by example, including the writers Lu Xun and Miguel de Cervantes, among others. There were also busts of college presidents and famous figures from the university’s own past. These were the ones who Fred admired the most, for Beida has been at the vanguard of the last century of change in China, and long before reading rooms and scholarly cats its reputation was for political protest. The genesis of student dissent was May 4, 1919. The Qing Dynasty had been overthrown in the Xinhai revolution of 1911, ending some four millennia of dynastic history. But China’s fledgling Republic was weak, divided, and bullied by the Treaty of Versailles at the end of the first World War, which granted concessions to Japan in German-controlled Chinese territory. In this uneasy new era, students and intellectuals were among the loudest voices, especially on the campus of Beida—then a tall red-brick building at the northeastern corner outside the capital’s imperial palace, known as the Forbidden City. On the afternoon of May 4, over three thousand Beida students marched the short distance to the massive Tiananmen Square. “Don’t sign the Versailles Treaty!” they chanted, demanding a stronger central government and a boycott of Japanese goods, which they symbolically burnt. They accused three Chinese officials of collaborating with the Japanese, tramped to the house of one, and burnt it to the ground, beating the official so badly that his skin, a doctor noted, “looked like fish-scales.” Some protesters were arrested, others took up their patriotic cause across the nation, and the May Fourth Movement was born. It wasn’t China’s first student protest march—that was in 1895 after defeat in war with Japan—but it sounded the clarion call for a whole generation. The May Fourth Movement had a bookish elder sibling, the New Culture Movement, which from the mid-1910s had rejected sclerotic old Chinese culture in favor of more progressive notions. They held up the twin idols of “Mr. Science” and “Mr. Democracy” (as opposed to “Mr. Confucius”) and argued that there was much to learn from the West. Lu joined the fray, satirizing traditional customs as cannibalism. China’s very future was at stake. The flagship magazine of the movement, founded in 1915 by the then dean of Beida, Chen Duxiu, was called New Youth. 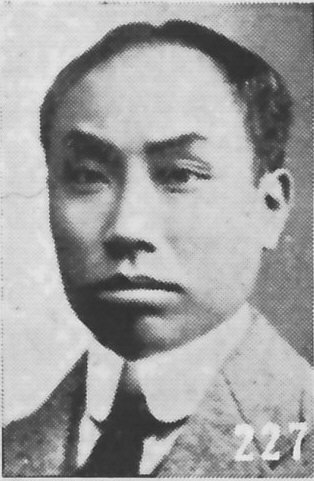 “Youth are like early spring,” Chen wrote in his opening editorial, “like the morning sun, like budding blooms and first shoots, like the sharp blade fresh from the whetstone; youth is the most precious time of life.” He called China’s students “fresh, vigorous cells inside the human body,” and exhorted them to “drive out the rotten, corrupted cells” of the old guard. You young people are in the bloom of life, like the sun at eight or nine in the morning . . . The world belongs to you. China’s future belongs to you. 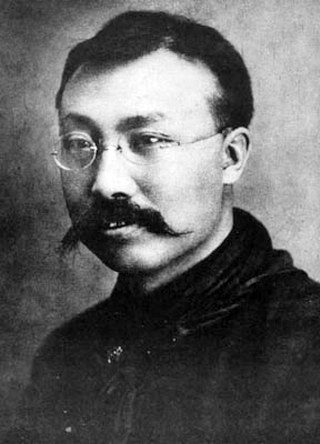 Six years later, in 1921, he co-founded the Chinese Communist Party with Beida’s librarian, Li Dazhao. The librarian’s assistant was a young man with a mole on his upper lip who had written an essay for the magazine on the importance of exercise. The byline: Mao Zedong. That future, thankfully, died with Mao in 1976. When then paramount leader Deng Xiaoping reopened the universities in 1978 and trumpeted “four modernizations” to reform China, dissent resurfaced in what was later called a “Beijing Spring.” On a strip of brick wall to the west of the leaders’ complex of Zhongnanhai, public posters were permitted to criticize the Mao years. It was nicknamed “Democracy Wall” after one of the posters went further to demand the “fifth modernization” of democracy, declaring “we do not want to serve as mere tools of dictators.” It earned the author, a 28-year-old former Red Guard called Wei Jingsheng, 18 years in prison. 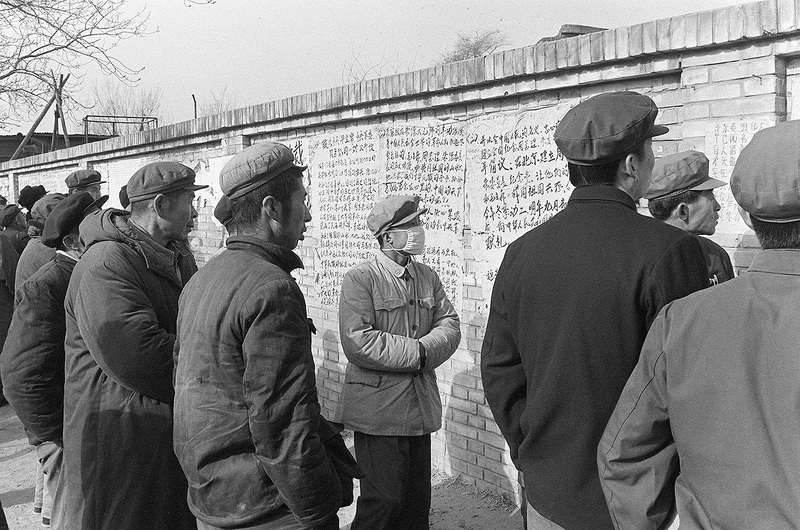 People read posters hanging on the famous ‘Democracy Wall’ on Chang’an Avenue in Beijing that called into question items of the Central Committee agenda at the time, December 5, 1978. The iconoclasm of the decade that followed was likened to coming out of the dark to be dazzled by the day. Throughout the ’80s, Chinese students were exposed to fresh culture and ideas—free to experiment with long hair and listen to jazz—and with that came the hope that a new politics might also be born. In 1986 and 1987, small-scale student demonstrations called for faster political reform. And in April 1989, when Fred was three, Beida students marched again on Tiananmen Square, this time from their new campus in the northeast which had been relocated in the ’50s. At first they went to mourn the death of former Premier Hu Yaobang, a reformist official who had been purged in the wake of the 1986 protests. They were joined by students from other colleges, and before long the growing crowd was demanding official accountability, a free press, greater personal freedoms: not a new government, but a better one. Numbers swelled. Workers joined. Hunger strikes began. The “Goddess of Democracy” was unveiled, a 30-foot-high papier-mâché statue holding her flame aloft to face off the portrait of Mao above the gate of the Forbidden City. Students signed a “New May Fourth Manifesto.” Seventy years on, China’s elite youth had reconnected the thread of their legacy of protest. A month later, they died for it. 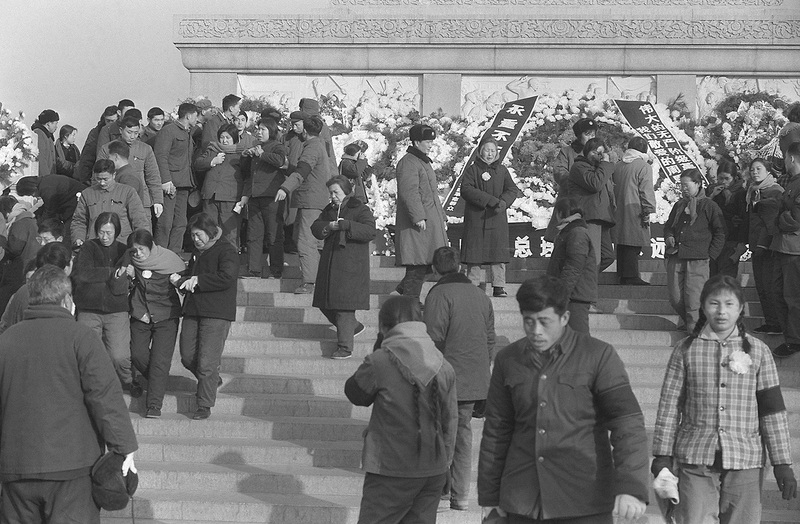 People demonstrate in memory of the late Premier Zhou Enlai during the Qingming Festival, a traditional time for honoring the dead, April 5, 1976. This event, known as the ‘Tiananmen Incident,’ led to hundreds of arrests. The Party’s Central Committee, at a tense meeting, condemned the episode as counter-revolutionary. The anniversary of June 4, 1989 is a muted affair in the grounds of Peking University. The original “triangle” of concrete near the library where the students first assembled has been built over, with another one paved nearby. Student supervisors warn student union leaders to keep an eye out for troublemakers, and the university assigns a couple of its regular security guards to roam the triangle, checking that no banners are unfurled. They face intense competition for success in an environment where there is more to gain from silence and everything to lose from speech. in which subversive Western forces tried to destabilize the country while protest leaders acted out of self-interest. The massacre itself is subject to strict state-sponsored amnesia, and June 4 is a date the Party would rather scrub from the calendar. Online, it’s safer to call it May 35. More students knew what the day signified—they just had other priorities. Too young to remember the rebellious mood of 1989, they face intense competition for success in an environment where there is more to gain from silence and everything to lose from speech. Collective history is of less concern than individual futures. Besides, some of the hopes articulated by the Tiananmen generation had been achieved. “What do we want?” said student leader Wu’er Kaixi. “Nike shoes. Lots of free time to take our girlfriends to a bar. The freedom to discuss an issue with someone. And to get a little respect from society.” The post-Tiananmen generation already had most of that, went the argument, so why risk losing it? It was only at Beida that Fred found out the full story for herself. Outside the classroom, her professors—some of whom had participated in or supported the protests—were surprisingly keen to talk about it. She watched the 1995 American documentary The Gate of Heavenly Peace about the demonstration and killings, which a student had posted on a university bulletin-board thread (it didn’t stay up long). Like others around her, she skirted online censorship through proxies, “climbing the wall” as it was called, to read accounts of the protests from the Western and Hong Kong presses. She saw the iconic picture of the tank man, and more graphic images too: dead students and soldiers, charred bodies on roads she had walked down. Her first feeling was of betrayal. 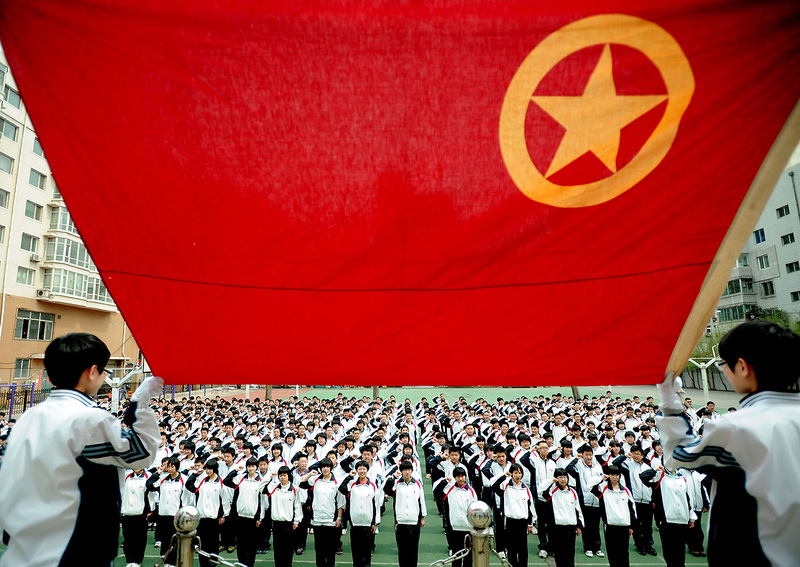 China’s military was meant to protect its people, not kill them. For all the hours of education instilling love of country, why had none of her teachers mentioned this before, let alone her parents? She appreciated the irony that the June Fourthers were killed on orders from the same Communist government that emerged from the legacy of the May Fourthers. But another truth was just as apparent to her: China had changed all over again between 1989 and now. Far from protesting against the Party, Beida students were now clambering over each other to join it. The Party was 80 million strong and keen to swell its ranks further by co-opting elite students. Every primary school child is a member of the Young Pioneers, and many middle- and high-schoolers join the Communist Youth League (Fred did when she was 14), but it is only at college age that full Party membership becomes possible. Careerism, rather than politics, motivates most of the eligible candidates. She appreciated the irony that the June Fourthers were killed on orders from the same Communist government that emerged from the legacy of the May Fourthers. Being a Party member is useful CV padding, a shiny red feather in your cap, especially when angling for competitive jobs in a state-owned enterprise or bank. At other universities, only the best students are invited by their supervisors to apply. At Beida, they are all the best. The application form is long and includes an essay explaining your reasons for applying and political stance, as well as a backlog of termly “thought reports.” No one bothers to write those reports during college, but samples are easy to find online to copy and paste—it’s all cookie cutter anyway, expressing patriotism, love of socialism, and optimism for the future. It isn’t uncommon for a student to knock out two years’ worth of thought reports in a weekend. In Fred’s Politics department, to the best of her knowledge, every single one of her classmates applied. Everyone except her. It was less than a week into her first term before a senior student-union member invited her to give it a try—with her marks and an official in the family, she was the perfect candidate. But she had no interest in joining for joining’s sake. Fred wanted to be an academic like her mother, she could take or leave the CV-booster, and she disliked empty political posturing. Precisely because she was a daughter of the Party, she was too close to the system to have any illusions about it. Back home on Hainan, her father had been promoted again, and was now in the administration of an inland town. With new power came new false friends. Some developers offered direct bribes, which he turned down. The more cunning among them appealed to his fatherhood. Fred remembers one time in her first year at Beida when he called her to discuss a proposal from a well-connected businessman who said he could get her into college overseas for graduate study and would pay all her fees. That was a sweeter offer, but they rejected it too. Cramming in the library, surrounded by the intellectual history of China’s past, it was hard for Fred not to feel those revolutionary thinkers were just gathering dust. State presence was keenly felt on campus, where the Party secretary was more powerful than the college president. There might be busts of Beida’s anti-establishment figures on display but their stone silence was contagious. Fred’s professors knew where the red line was: not an overt diktat but a tacit understanding of what not to say. She was at the birthplace of May Fourth and the Tiananmen protests, the origin of the New Culture Movement and Chinese communism. But her peers were a different kind of new youth, and a generation divorced from history. The tradition of student protest was broken. What new ideologies had replaced it, besides materialism and careerism, she was yet to discover. For now, after a century of dissent, no one seemed to care.